Prefinished hardwood flooring is one of the most popular options for homeowners these days. This flooring doesn’t require a finishing treatment after it is installed. Instead, the finishing treatment is applied by the manufacturer which saves you some time. Manufacturers have even added more styles and colors to this flooring, so you can choose an option that adds glamour to your home. Once you get your flooring installed, you’ll want to make sure you take care of it. That’s why we’ve created a handy guide on how to clean prefinished hardwood flooring properly, so you can keep your floor looking shiny and brand new. One of the best things to do for your prefinished hardwood flooring is to dry dust it regularly. Don’t let those pesky dust bunnies stay on your floor! You can dry dust your floor with a microfiber mop. It is the best tool for the job because it is softer than a broom. Most brooms have hard bristles which could leave scratches on your hardwood floor. If you do decide to sweep with a broom try to find one that has soft bristles. This will help prevent any unnecessary scratches on your prefinished hardwood flooring. Don’t Forget: You should try to dry dust at least a few times a week. It can be surprising how much dust can build up even in just a few days. It’ll help you in the long run if can just do a quick sweep around the house. For any kind of hardwood flooring, spills and stains are something you want to avoid. Any time large amounts of water come into contact with your hardwood flooring it can be bad news for you. That’s why you’ll want to take precautions to try and avoid unwanted spills or stains on your floor. If a spill occurs, you should soak it up with a microfiber cloth as soon as possible. Place the cloth on the spill and rub gently to soak up the liquid. Once all the liquid is gone you’ll want to go over the area again with a dry cloth to make sure it is completely dry. Don’t Forget: When a spill occurs, you DO NOT want to aggressively try to wipe it up. This will spread the water around and it can also force the water to go deeper into the floor. When it comes to knowing how to clean prefinished hardwood flooring, it’s important to note you should only use cleaners that are recommended by the manufacturer of your flooring. They are the experts when it comes to what is best for your flooring. After you dust your floor, you can also use a damp mop and manufacturer recommended cleaner to sweep the floor going over any of the areas that need cleaning. Don’t Forget: When you are damp mopping you don’t want to let the mop get overly wet. You want to make sure you aren’t putting unwanted moisture into your prefinished hardwood flooring. You can put floor protectors on your chairs and pieces of furniture to prevent scratching your prefinished hardwood flooring. Door mats and area rugs are perfect for adding another layer of protection for your floor. Plus, it allows you to add fun decor to any room. Move your furniture around at least once a year. This ensures that your floor will age evenly. Trim your pet’s nails and groom them regularly. This is the best way to make sure they don’t damage your floor. 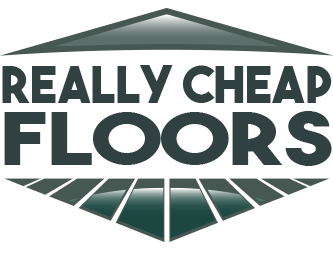 Are you looking for affordable flooring? At ReallyCheapFloors.com, we offer everything from engineered wood flooring to area rugs. Browse our selection of prefinished hardwood flooring to find the perfect fit for your home.